The newly inserted clause states that “This is a local appointment and the applicant should be free to live and work in the UK without a need for a work or any other permit”. “This post was never a local appointment and if that was the case it would have been included in the first ‘Staff Vacancy Notice’ put out earlier in February. This inclusion was done solely to accommodate Malalasekara, as he has now been living in the United Kingdom for the last two decades and knock out other senior airline staff members who were clamoring for the post” said an airline employee on condition of anonymity. Gihan Malalasekara who initially worked for the national carrier known then as Air Lanka, resigned in the early nineties when in the capacity of an In Flight Cabin Supervisor. To date he has never held a managerial position in the airline, as he re-joined Sri Lankan Airlines as a Sales Executive whilst living in London. The national carrier was featured in a Sunday newspaper on the 4th October 2015, highlighting a recent award it had won in India. The Society for Human Resource Management had acknowledged the airline for ” Excellence in Human Resource – South Asia”. Head of Human Resources Pradeepa Kekulawala speaking about the achievement was quoted in the newspaper saying ” the achievement also identifies the airline as a pioneer and trend setter in the Asian Region”. Speaking to Colombo Telegraph an airline staffer said that his Head of HR Kekulawala was correct in making that statement, as even the appointment of the new incoming Chief Executive Officer Capt. Suren Ratwatte was based more on his brother Charitha Ratwatte‘s closeness to Premier Ranil Wickremesinghe than his ability for this post. As for Gihan Malalasekara and his soon tipped to be appointment, these are the trends Kekulawala is referring to. It was President Maithripala Sirisena who initially set this bad precedence by pulling the wool over his voters eyes, when he went on to appoint his brother P.G. Kumarasinghe as the Chairman of Sri Lanka Telecom. President Maithripala Sirisena prior to the Presidential Elections earlier in January said that one of the reasons he quit the former regime led by Mahinda Rajapaksa was due to nepotism. Further President Sirisena shocked his countrymen when he turned a blind eye to his daughter Chathurika‘s hautiness, who was seen on national television travelling from village to village in the Pollanaruwa District accompanied by police officers and government officials on the pretext of informing villagers of her father’s dream and also using her visits as a fact finding mission. President Sirisena recently drew more flak for taking his son Daham to the United Nations General Assembly in the United States of America at the expense of the tax payer. 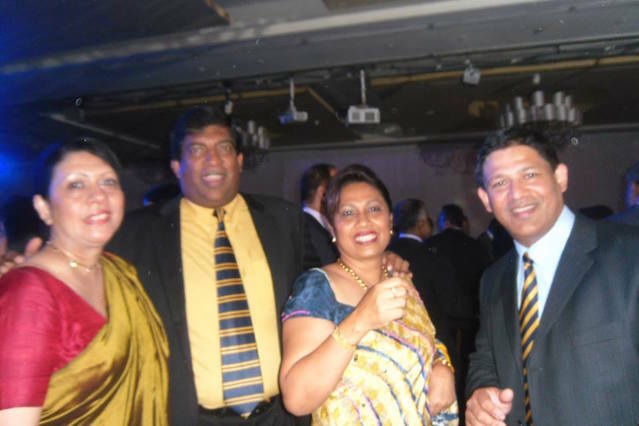 The precedence the President has set does not augur well for the future, as many others such as Finance Minister Ravi Karunanayake and Minister of Ports Arjuna Ranatunga have now gone on to exploit and endorse their nepotism stunts. Minister Karunanayake went on to earlier appoint his brother in law and retired policeman T.M. Bangsa Jayah to the post of Managing Director of Sri Lanka Insurance and Minister Ranatunga is now reported to shortly appoint his brother Dhammika Ranatunga to the post of Chairman Ports Authority in his Ministry. The Colombo Telegraph has been unable to reach Ravi Karunanayake for comment. This country is ruled by politicians who aspire to go into politics to become millionaires at the expense of poor people who earn less than $2000/yr. Nepotism, bribery corruption and thuggery is how democracy is run in the paradise from hell SRI LANKA. I am glad to renounce by citizenship from that country a proud citizen of the great USA. No sane person will ever want to even visit that F’ up country. I think the worst thing done by this govt is to give any position to the corrupt RK.